Nowadays, that's no longer a problem. Pre-rendered CG is quickly becoming outdated thanks to huge advancement in graphical capabilities. If the future of video game narrative is this seamless shift from gameplay to cutscene, then we might as well all give up now because Crystal Dynamics has already beaten us out the front gate with the new Tomb Raider game. Square Enix revealed even more of the new and improved Lara Croft at the VGAs this year. I was initially ready to write off this To Be a Survivor trailer after the first few images blatantly rip off the dangling train sequence from the opening of Uncharted 2. Luckily I decided to give it a full view and was more than happy after the title reveal. Indeed, Tomb Raider is setting an absurdly high standard for the cinematic video game. Maybe it's the Hollywood trailer editing style, but half of the time, I'm not quite sure if I am looking at a scene I'll only be able to watch or if Lara is doing something I'll be able to control. There are obvious third-person action sequences in this exciting trailer, but they blend in so well with the action scenes that you can hardly blame someone for confusing the two. What's most impressive about the gameplay in this trailer is the lack of a hub. No life meter, no arrow count, no destination markers. If Crystal Dynamics gives us the opportunity to keep it that way, I know how I'll be playing it. That's going to make or break the immersion the team is going for. Stealth kills, bows and arrows, over the shoulder cover-based third-person shooting, Uncharted style platforming. I'm still a little uncertain how I feel about this game. Is it a truly an original experience or a mishmash of all the hottest trends in gaming with just a shiny AAA coating over the top? Regardless of how the gameplay turns out, I'm excited to see the technological leap this game is making. We could finally have a new watershed moment for video game cinematics on our hands here. The only big question we have to ask is when will Crystal Dynamics be bringing their new found talents to the Legacy of Kain series? We'll see! 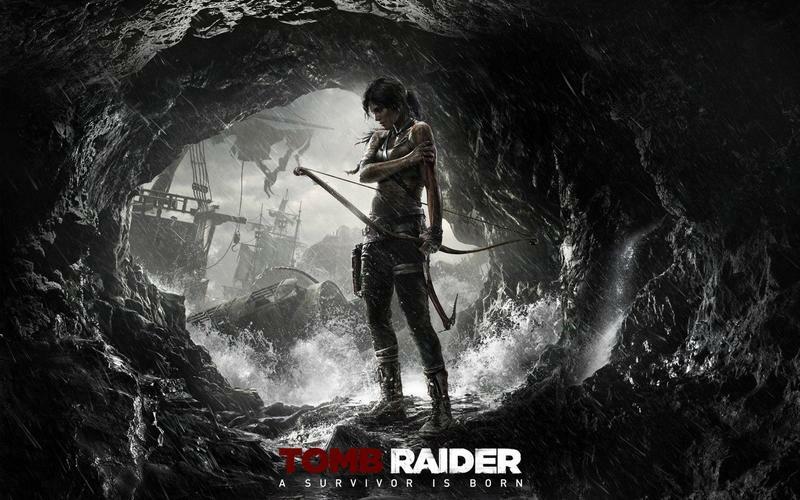 Tomb Raider will be released for the Xbox 360, PlayStation 3, and PC on March 5th, 2013.